Every lesson from God’s Unfolding Story for Older Preschoolers includes two lesson plans (Hour A and Hour B). 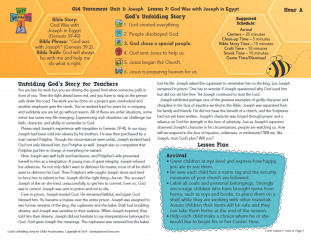 This is the Hour A lesson plan for God Was with Joseph in Egypt (OT05L2HA). It includes the Hour A lesson plan and the needed reproducibles for that plan.